Deadfall Adventures is an action adventure first-person shooter set in exotic locations such as ancient Mayan ruins, forbidden cities, frozen wastelands, and lush, tropical jungles. [b]The Story[/b]: The year is 1938. James Lee Quatermain is a man of many talents, yet holding on to money isn/'/t one of them. 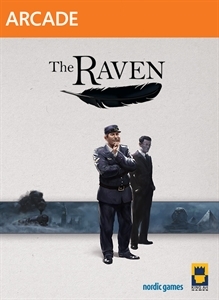 James is an adventurer by trade, ..
/'/The Raven - Legacy of a Master Thief/'/ is a thrilling crime adventure in three episodes from the creators of /'/The Book of Unwritten Tales/'/. Full of twists and turns, it immerses you in both sides of the story, combining thrill-of-the-chase whodunit with the risk and reward of a heist story. Paris, 1960. Europe is in the grip of the gentlema..
A new adventure from KING Art, the creators of The Book of Unwritten Tales, The Critter Chronicles and The Raven – Legacy of a Master Thief A fantasy story with over 20 hours of pointing and clicking The trademark BoUT-humor, lovingly spoofing LotR, Game of Thrones, Harry Potter, Discworld, The Hobbit, WoW and more Hundreds of weird, yet oddly logi..